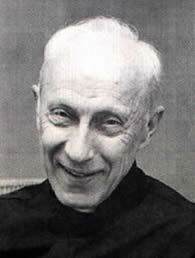 Father John A. Hardon, S.J. was one of the greatest teachers of the Catholic Faith during the twentieth century. He was a prolific writer and mentor in the Catholic Faith, as evidenced by the following resources. Father Hardon told us often that we can never get to Heaven alone. If we want to go we have to bring many people with us. As a catechist, and therefore teacher of the Faith to others, you should have a deep understanding of the Faith yourself. There is no better way of growing in your grasp of the Faith than by meditating on the Apostles’ Creed. Each day, if only for a few minutes, read a passage or two from the Bible which tells about God’s power in creating the world and keeping it in existence (e..g., Job 38, 39), or about the majesty of God revealed in the works of Creation (e.g., Psalm 8). Memorize short verses from Sacred Scripture which address God as Creator and Lord. The Psalms are filled with such acts of adoration. Form the habit of frequently thanking God, if only in a word, for His countless gifts and blessings. Several times a day, slowly and prayerfully recite the Glory Be to the Father.. When you make the Sign of the Cross, think of what you are saying – that you are making an act of faith in the Holy Trinity. Daily recite a short prayer to your Guardian Angel. Daily recite the prayer to St. Michael the Archangel. Cultivate the habit of often using the name Jesus in silent prayer. When you get up in the morning and retire at night, invoke His Holy Name. And during the day, learn to associate whatever you are doing with a moment’s prayerful aspiration, pronouncing the word, Jesus. If you do this, you will not only grow in your belief that Jesus is indeed God Who become Man; you will experience the spiritual power that is available to those who call upon Him in faith.